Take control of your health and implement these easy heart health tips today. Diet, exercise and lifestyle choices can all have an effect on our overall health, let’s make it a positive one! Whether you’re younger or older, heart health, or your overall health, should be a focus. The choices we make when we’re younger can severely affect our health when we’re older. 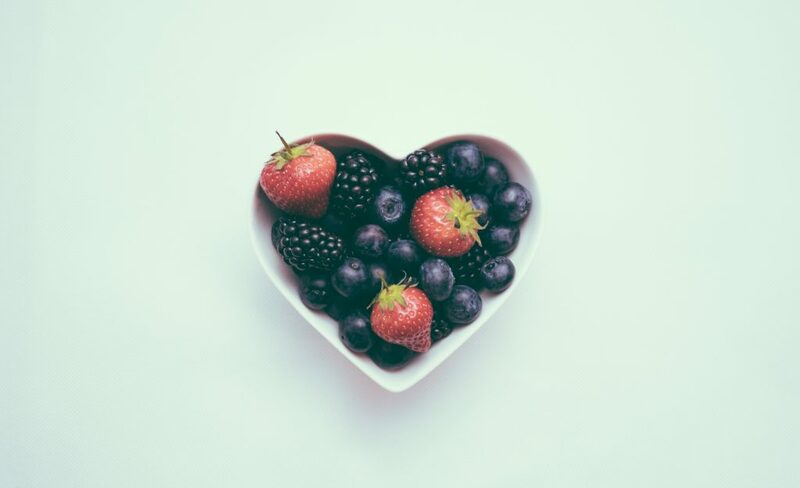 The month of February is heart health month therefore, I’m going to share some small everyday changes you can make for the health of your heart. You might not think this can be a small change but, it definitely can be. It doesn’t take intense exercise to keep your heart healthy. Adding in a small walk every day, choosing to take the stairs instead of the elevator, or parking farther back in the parking lot and walking further when going to the store are all good adjustments. None of them too big, but if done consistently, they will make a huge difference in your heart health as you age. This may seem like a huge change but keep it easy and start small. By setting smaller goals you will make big changes in your eating habits without even noticing. How about a beetroot smoothie to start the day? 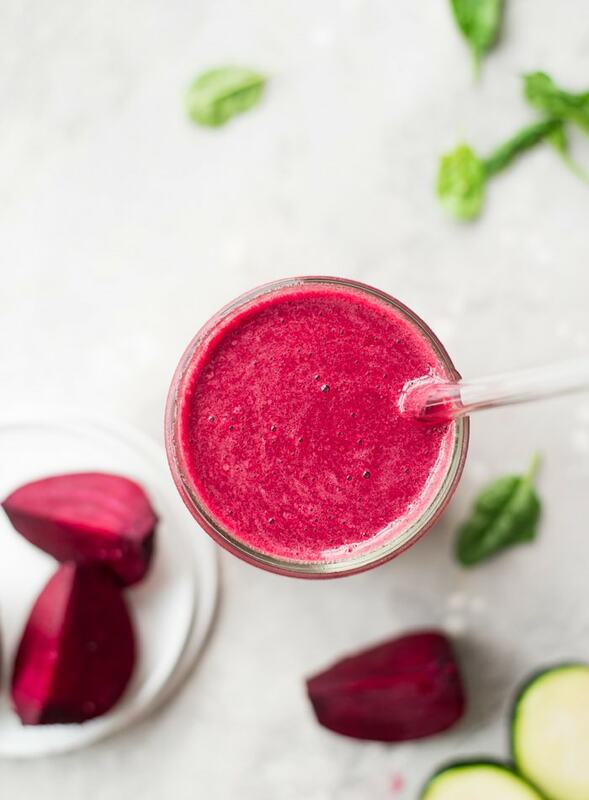 Photo credit: running on real food where this smoothie and 60+ more are shared featuring fresh whole foods like beets and spinach. Most people eat way more sodium (salt) than they really should. If you use a lot of salt in your diet, try and reduce it a little bit at a time. Season your food with extra spices such as cumin, paprika or basil instead of adding extra salt. Start adding more fruit and vegetables into your diet. Frozen, canned, or dried fruit with no added sugars. 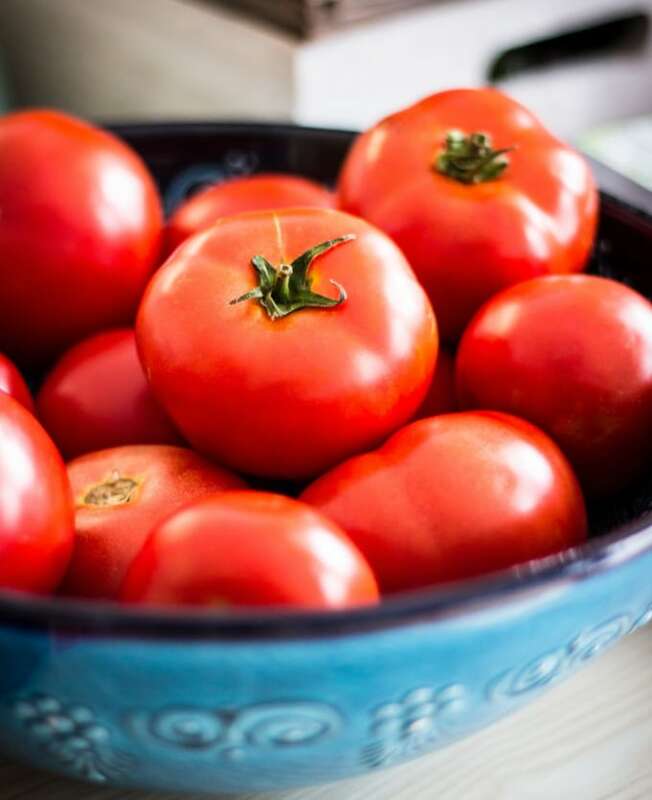 I know that it can sometimes be a struggle to fit in all the fruits and veggies your body needs, especially on a busy day or when you are traveling. For these times I usually have on hand some small one serve packs of Miracle Reds from Macro Life Naturals. Miracle Reds is a fierce heart protector, full of antioxidants, cholesterol-lowering plant sterols and immune boosting nutrients and herbs. Personally, I use this brand because there is no added sugar and nothing artificial (Non-GMO). I can carry the little sachets in my handbag for whenever I need them, just add water. There are lots of alternative brands on the market, so have a look and see what works for you. 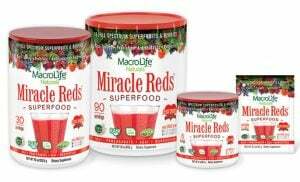 If you are interested in Miracle Reds, check them out here: Macro Life Naturals. Whole Food Bellies readers can get 20% off their order by using the code wholefoodbellies10 at checkout. Quit smoking and stay away from secondhand smoke. If you drink alcohol, try to drink only in moderation. 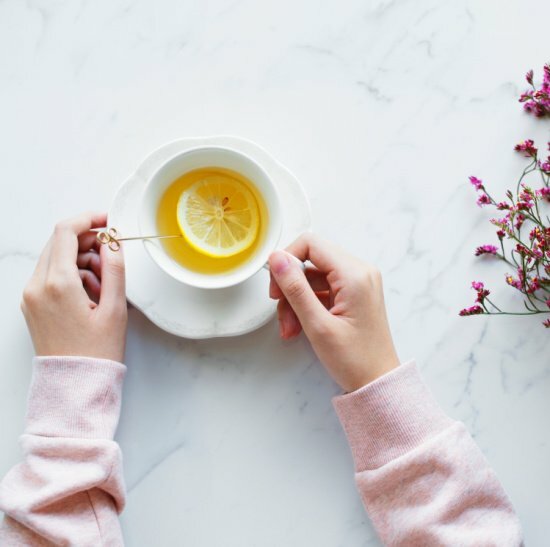 I find that having a batch of freshly brewed iced tea or something equally delicious in the fridge makes a great easy to grab option. Fresh Peach and Honey Lemonade. Try sipping on a homemade drink using fresh fruit instead. When life gets busy it can be so easy to get stressed out and stay that ways for days (or weeks or even months at a time). This can have a huge impact on your health. Try to keep the things that make you overly stressed to a minimum, your heart will thank you down the road. Find what brings you peace and lets your mind be still. For me it is taking a walk by the ocean, for you it might be going for a hike, walking around the block, riding your bike or going fishing. If it ties in with getting some exercise then you are killing two birds with one stone! There are many other ways to keep your heart healthy, these are just a few. How do you ensure your heart stays healthy? I would love to hear your tips! Medical Disclaimer. This Content is not intended to be a substitute for professional medical advice, diagnosis, or treatment. Always seek the advice of your physician or other qualified health providers with any questions you may have regarding a medical condition.